A bit chilly in the fall but the leaves were turning, the winds were calm, and the comeraderie something else (along with the scenery). A no-fee camp area on between Frenchman’s and Davis Lakes. 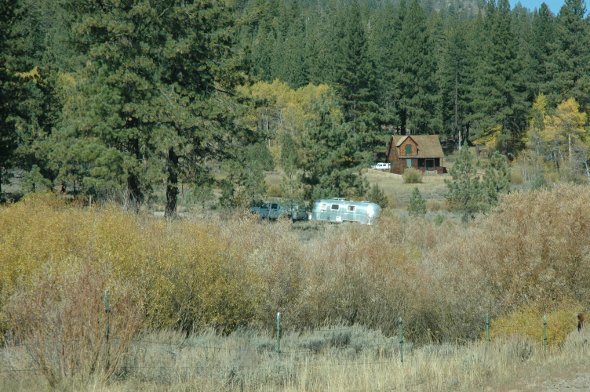 See Red Clover Valley Tour – first a in series of summer tours at Plumas County News for a bit of history on the area and the roads. The Harrison’s kept a photo log of friends they met at rallies and caravans. 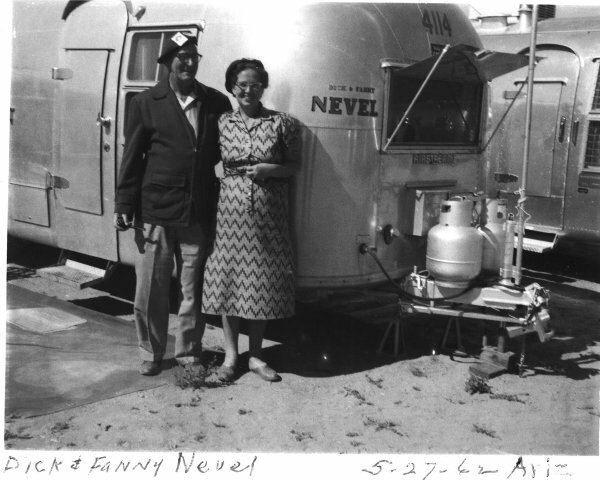 See who travelled in what kind of Airstream some fifty years ago! On being a pawn: shutting down your touring destinations to influence your political views. You may have heard the news about the political budget fracas. Did you know you are a pawn in the game? Warren Meyer runs a business you may have encountered at campgrounds. He has posted his Plea to Stop the White House From Closing Privately-Funded, Privately-Operated Parks. It is a letter to his Congressional representatives. In past shutdowns, he was left alone as his company hired people and fed money to the treasury. There is a difference this time. If you plan to visit Washington D.C. to view the memorials and other sites, you might want to look into the saga of the WW II vets as well. Besides erecting barriers and increasing enforcement staff to block off a site never intended to close, people are being hired to protest the government ‘shutdown’ to try to counterbalance the veterans removing the barriers and visiting ‘their’ memorial. Apparently, spending government funds to close down tourist destinations is a critical government security issue, even if it is of the sort that generates funds for the government and jobs for part time RVers. Be aware of what actually is as it may not be what you are told.